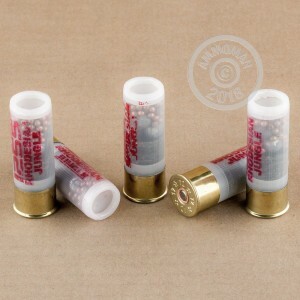 This 12 gauge ammo comes packed in 5 round bags, and is loaded with a mix of BB shot and 00 buck shot in a 2-3/4 inch shell. 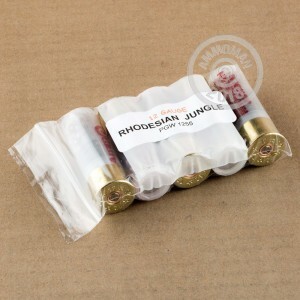 This load offers a great medium and short range self defense/home defense load. This mix not only ensure that a your shot will hit its mark, but also that that hit will be very effective. 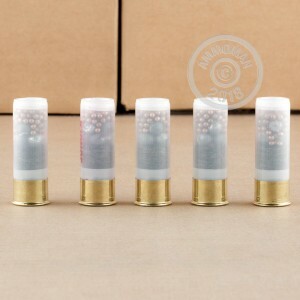 This shot can be used as defensive load while going on back country hikes and in the home. 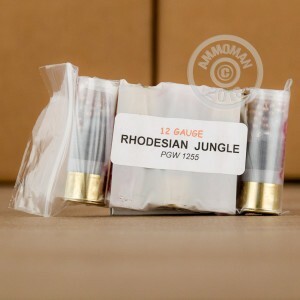 This ammo is made by Precision Gun Works, which produces a variety of other unique shotgun loads.